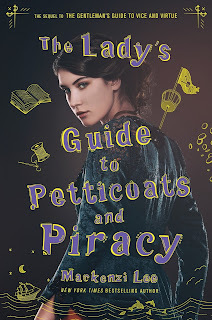 This week I am practically dying for The Lady's Guide to Petticoats and Piracy by Mackenzi Lee! I absolutely loved The Gentleman's Guide to Vice and Virtue, and I have no doubt that Lady's Guide will be just as amazing! Felicity is a doctor in the making that is limited by her time. I have no doubt that if she were alive today, Felicity would cure the common cold, discover a new organ, and more. I can't wait read Felicity's adventures across Europe as she pursues her dreams.